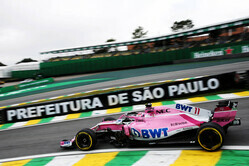 Sergio Perez: "It was not the best day because I lost quite a lot of running at the start of second practice. There was a hydraulic issue with the steering assistance and we had to make some changes during the session. So I've only done 23 laps today which isn't ideal on such a technical track. Also, because it's a short lap, every tenth of a second is even more important. We made the best of the session after making the changes, but I still feel we need to make some good steps overnight to be ready for qualifying." Esteban Ocon: "I am pleased with today. Both sessions were straightforward for me - no issues on my side of the garage and we did a lot of laps. It's not an easy circuit to get everything right and there is still some work to do before qualifying. It's those small details we need to work on to make me feel more comfortable. The target is definitely to reach Q3 tomorrow. In terms of the weather, I don't mind if it's wet or dry." Nicholas Latifi: "It was a bit difficult in the car today, definitely harder than I hoped. We struggled to find the right balance with the car and as a result it was not where I needed it to be to maximise the performance of the tyres. It is similar to how I felt in Sochi, earlier in the year. I wish I had been quicker today but I am still satisfied with my work. In the end, when you jump in the car you don't want to make any silly mistakes and you focus on helping the team prepare the car for the race drivers, which is what I did today, so from this perspective it was a positive day." 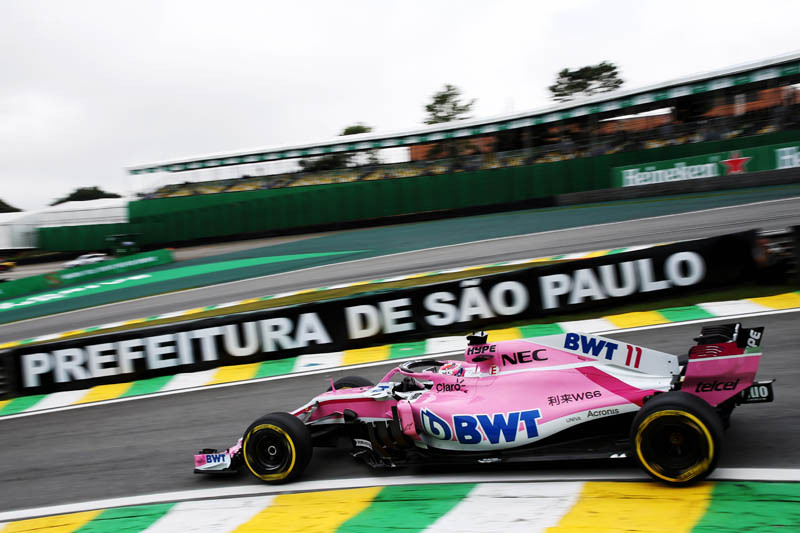 Otmar Szafnauer: "Esteban had straightforward sessions in both FP1 and FP2, gathering all the tyre data and set-up information we needed. Nicholas did a good job, completing all the test items we had planned for him, although he wasn't happy with the balance during his runs. With Sergio, we lost some track time early in the afternoon with a precautionary change of power steering. However, after that, Sergio got on the pace quickly and if we can have a solid morning session tomorrow he will hopefully be in good shape for qualifying."